David Skellern worked in radioastronomy for 10 years and taught electronics at Sydney and Macquarie Universities for 16 years before coming to prominence in the IT industry through Radiata, which he co-founded in 1997. Built on joint research conducted by Macquarie University and the CSIRO, the company demonstrated the world’s first chip-set implementation of the 54 Mbit/s IEEE 802.11a High-Speed WLAN standard. Radiata was subsequently sold to US giant Cisco Systems in 2001 for $565 million. 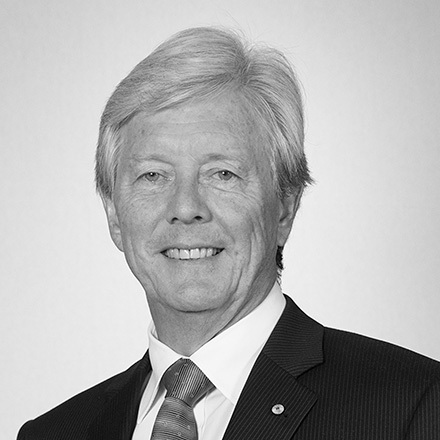 Dr Skellern joined the Board of National ICT Australia in 2003 and became its Chief Executive Officer in 2005 and is currently Chairman of CMCRC. Dr Skellern was appointed to the Order of Australia in 2010.